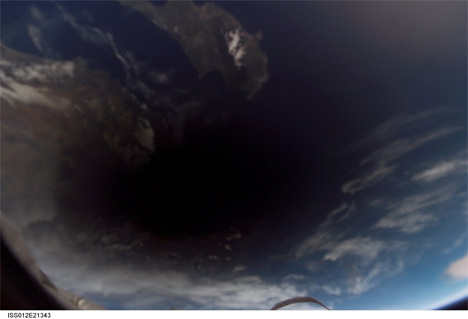 Not much can match the rare glory of gazing to the sky to see a full solar eclipse – unless you’re EUMETSAT’s Meteosat-7 satellite or are on board the International Space Station. 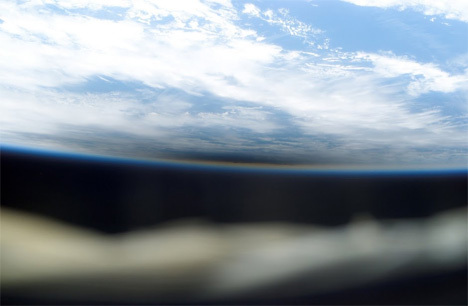 These orbiting apparatuses captured some incredible images. 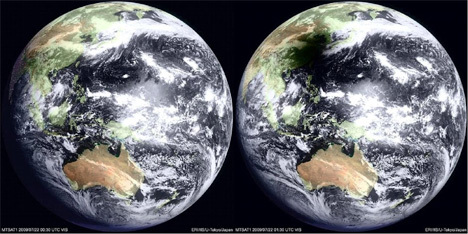 On the morning of July 22, 2009, an unusually long solar eclipse enveloped Taiwan and a large portion of southeastern China and the Pacific Ocean. 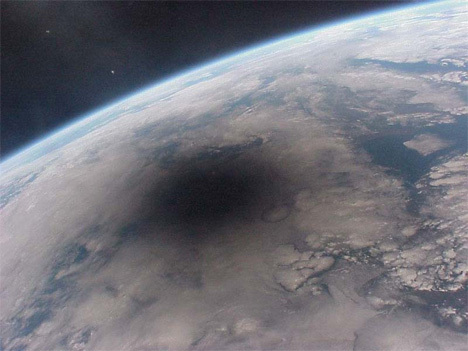 The massive shadow of the sun made what looks like a puncture wound, a sort of void in the shape of a perfect circle. 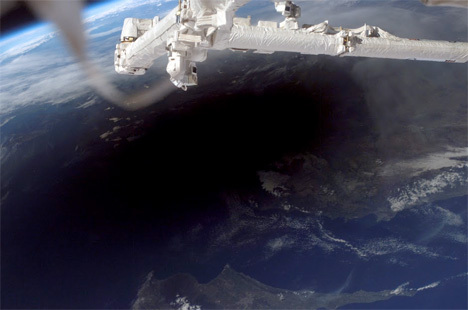 Three years prior to the ’09 eclipse, the International Space Station captured shots of a monster eclipse that covered parts of Turkey, Cyprus and a large part of the Mediterranean Sea. Again the shadow was circular and completely obscured the regions. Space is fascinating from the Earth, but seeing the Earth from space, it turns out, is just as spectacular. See more in Space & Time or under Science. August, 2013.